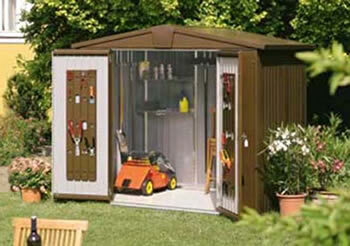 The Plastic Lifetime outdoor sheds and storage units are high end, quality products. 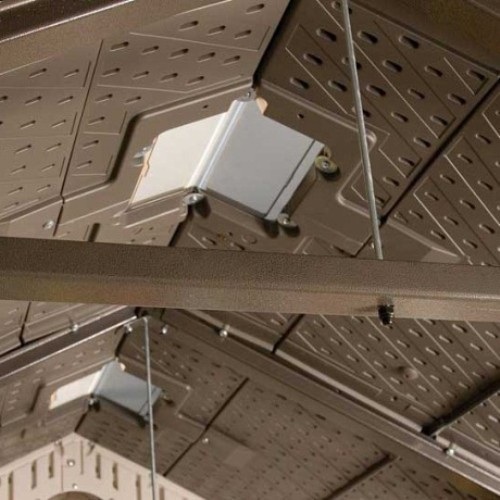 Made from polyethylene, a plastic that won't degrade, and one that is stronger and more durable than wood, you won't lose money due to costly maintenance. 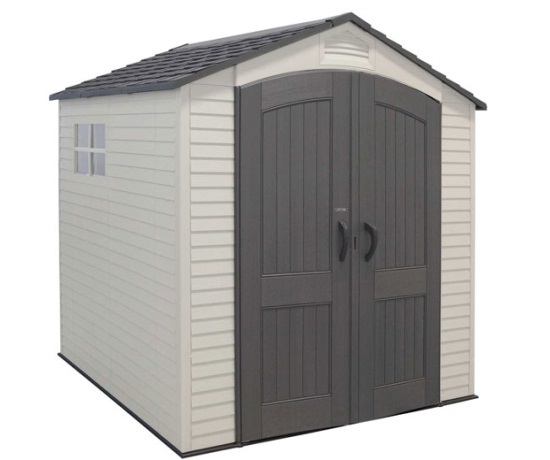 Unlike other plastic and metals sheds this range holds a 10-year warranty which covers everything on the shed, from top to bottom! 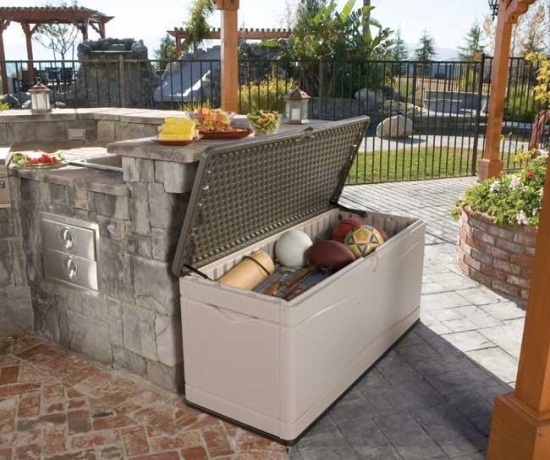 Special features include a sturdy steel-reinforced double-wall polyethylene construction, high-impact polyethylene floor, shatter proof windows, skylights, screened vents for airflow, built-in shelving systems and lockable doors with internal latching mechanism. 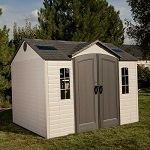 These sheds even boast an attractive traditional design. Wood grain moulding, a simulated shingled roof and natural colour scheme creates an aesthetically pleasing addition to the garden. While sturdy floors and a generous headroom promote great versatility which is virtually maintenance free. If you need additional space simply extend. 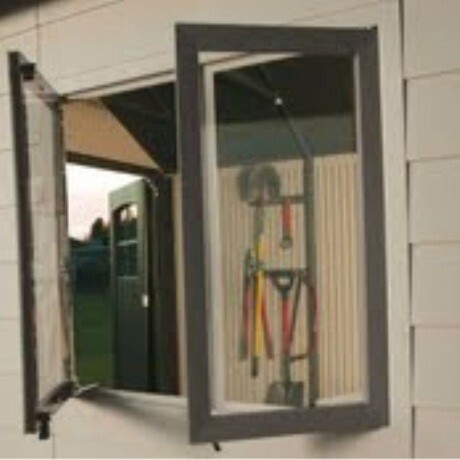 The Lifetime plastic sheds are expandable with easy extension kits. Each module adds an extra 75cm (2.5ft) to the length and there is no limit to how many extension kits you can add. Lifetime has combined the best features and eliminated the weaknesses from current competitors sheds into one complete package, at the best value to the consumer. 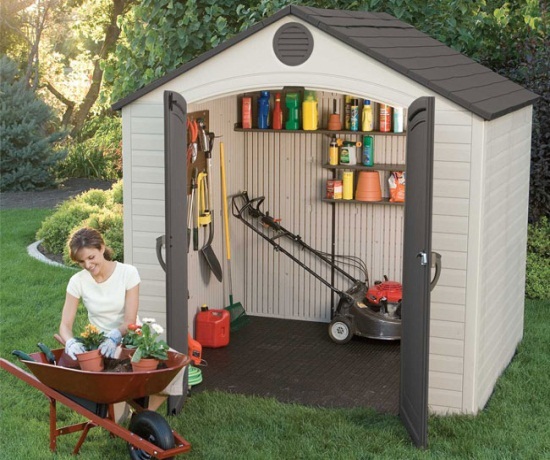 The Lifetime outdoor shed is Simply Better! 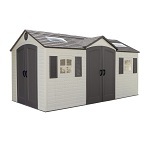 Lifetime Plastic Shed 10x8 - Single Entrance featuring anti-slip flooring, air vents and skylights. 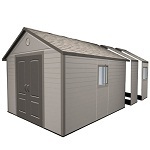 The Lifetime Plastic Shed 11 x 11 is a quality plastic shed with an apex roof which is manufactured from high-density polyethylene (HDPE) and features heavy duty powder coated steel reinforcements. 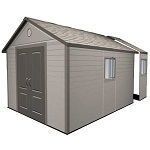 The Lifetime 11 x 16 is a quality plastic shed with an apex roof , it is manufactured with quality polyethylene. The Lifetime 11 x 21 is manufactured with quality polyethylene and features a steep pitched roof for extra water drainage. 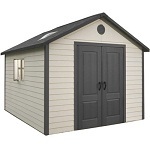 Lifetime 15x8 Plastic Apex Shed with double entrance. Also has shelving units and tool storage options.